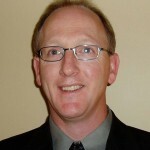 Dr. Ray Bergstra is the sole proprietor and principal consultant at MTN Consulting Associates. Dr. Bergstra completed a B.Sc. in Applied Chemistry at McMaster University in Hamilton and obtained his Ph.D. in Organic Chemistry in 1991 from the University of Alberta in Edmonton. He has also completed a number of courses towards an MBA. Dr. Bergstra is currently involved with a wide range of projects related to innovation in the emerging bioeconomy which includes biorefining of natural materials to biofuels and biobased chemicals. Prior to establishing MTN Consulting Associates in 2003, Dr. Bergstra spent 9 years in industrial research, product development, and product line management with Mobil Oil Corporation, followed by 3 years in marketing and sales with ChevronTexaco. Dr. Bergstra has coauthored four technical papers and two patents. He has lectured both university-level General Chemistry and Organic Chemistry courses, is a contributing writer to Lubes ‘n Greases magazine, and a speaker at the Alberta Annual Education Seminar for Society of Tribologists and Lubrication Engineers (STLE). His most recent article discussed lubricant developments for wind turbines, and was entitled Four Strong Winds. Ray is a member of the Canadian Association of Management Consultants, and the STLE. For access to Ray’s complete CV click here. A list of recent reports and projects is also available. Two years as a sessional instructor of university level chemistry. Twelve years of international research, product development, sales, and marketing experience including 3 years as a business manager for western Canada. Successful operation of a management consulting practice since 2003 focused on strategies for new technology commercialization; recognized as an industry expert for developing new ventures in agriculture, bioenergy, biofuels, bioproducts, and chemicals. Five years as a business development and market intelligence consultant to Alberta Agriculture and Rural Development. 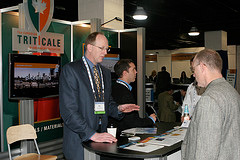 Key clients have included Alberta Agriculture and Rural Development, Advanced Education and Technology, Alberta Crop Industry Development Fund, Alberta Pulse Growers, Alberta Sustainable Resource Development, Alberta Research Council, University of Alberta, Saskatchewan Research Council, Environment Canada, National Research Council, Sustainable Development Technology Canada, as well as a from the private sector companies from energy and forestry. A member of BioAlberta, American Oil Chemists Society, Society of Tribologists and Lubrication Engineers, and the Canadian Association of Management Consultants.